It’s essential that students have access to high quality digital resources, and one of the best resources we can ever provide to students is a really good book. With the St. Vrain Digital Library, now a good book is only a tap or a click away. St. Vrain students can login to the new digital library with their student username and password. The library is NOT a replacement for our school libraries. It’s intended to supplement the collections available to students via their school libraries (We believe print books are still an important part of a balanced literacy diet.). This year, a team of teacher librarians has worked to stock the digital library with a good mix of fiction and nonfiction high interest texts. Alongside that collection is a collection of novels that supplement our Collections secondary language arts curriculum. Those novels were chosen by a team of language arts teachers working with our district language arts coordinator. 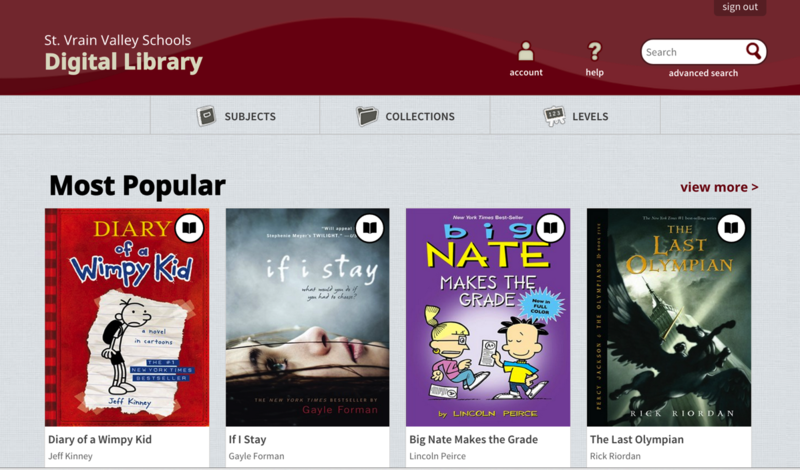 So either in class or out of class, there’s plenty of reading to be had in the St. Vrain Digital Library. While all students can see the titles available for checkout, the collection is segmented into three age groups – so elementary students won’t be checking out high school reading material. 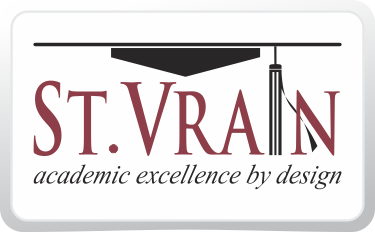 We encourage you and your students to check out the St. Vrain Digital Library today! Better yet – we encourage you to find something there to read together.